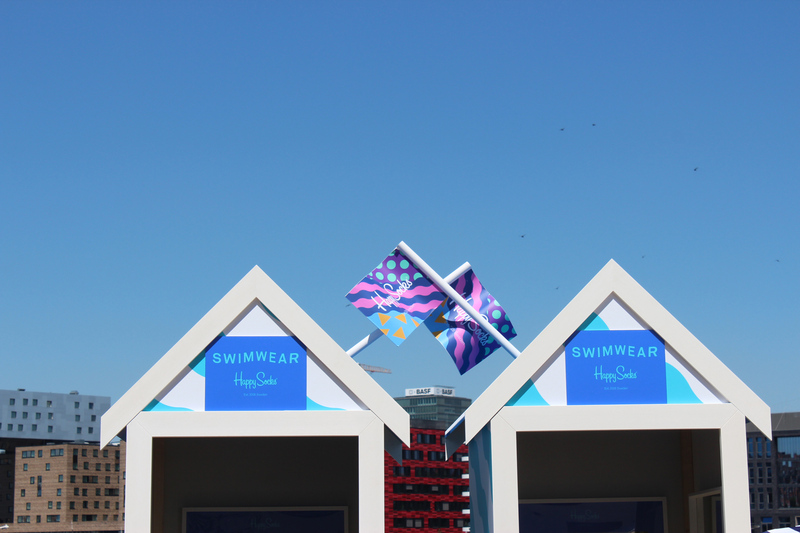 For the very first time Happy Socks unveiled their first swimwear collection. 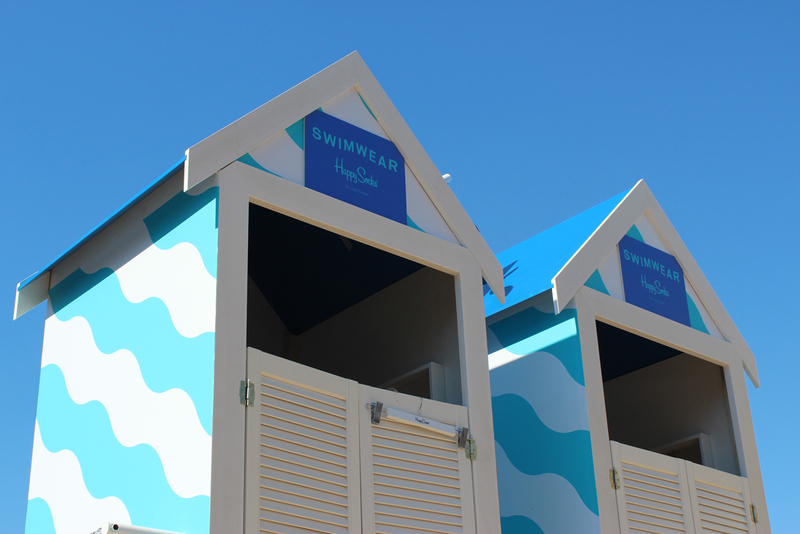 For this Instinkte realized two authentic and effective swim huts in typical beach style. 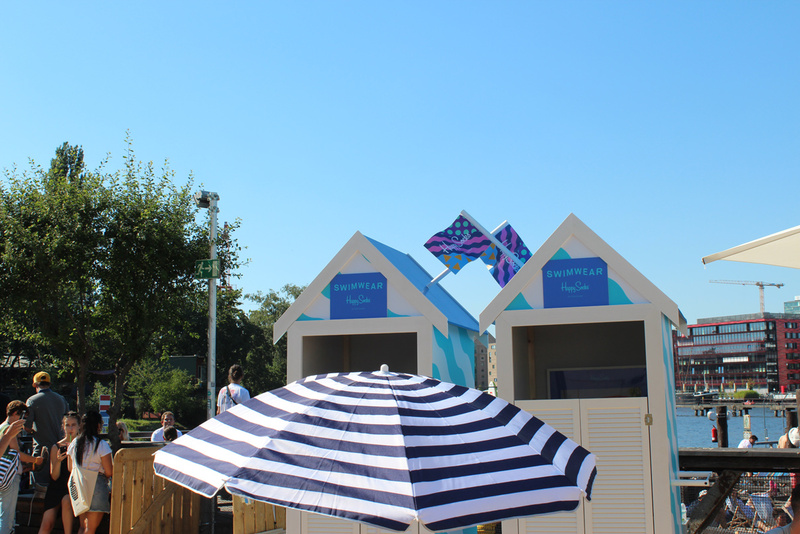 The huts were used by more than 500 attendees as a fitting room. 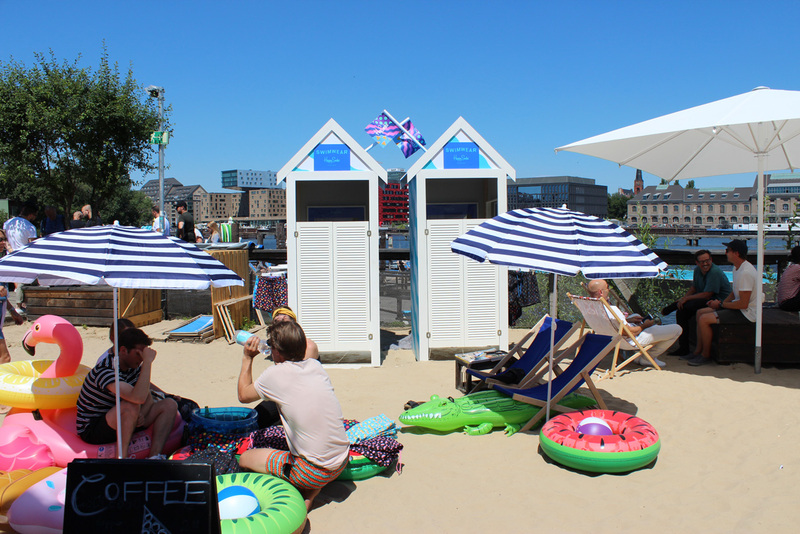 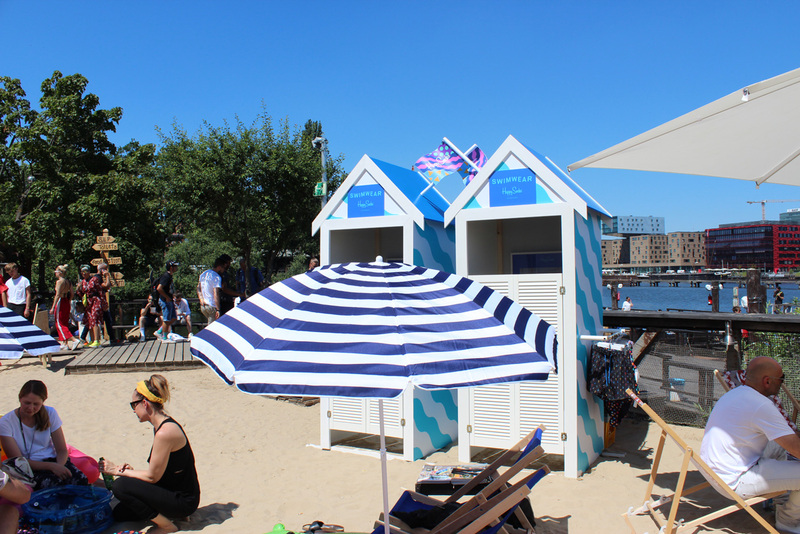 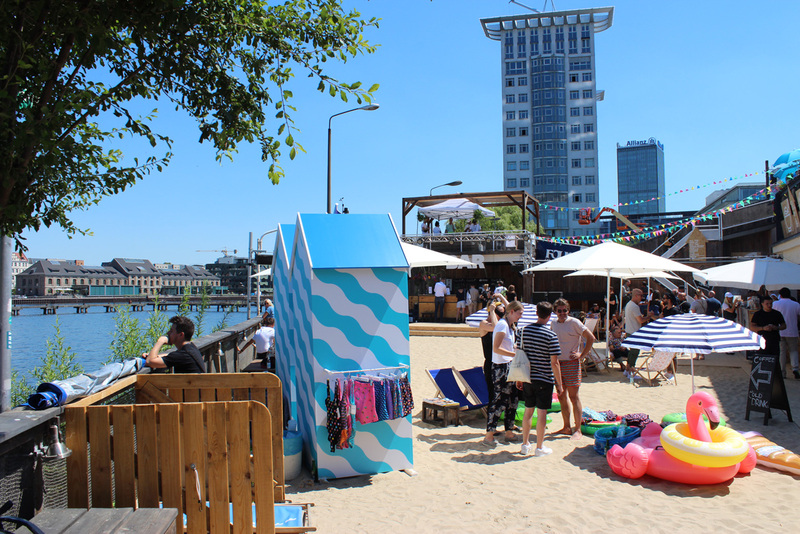 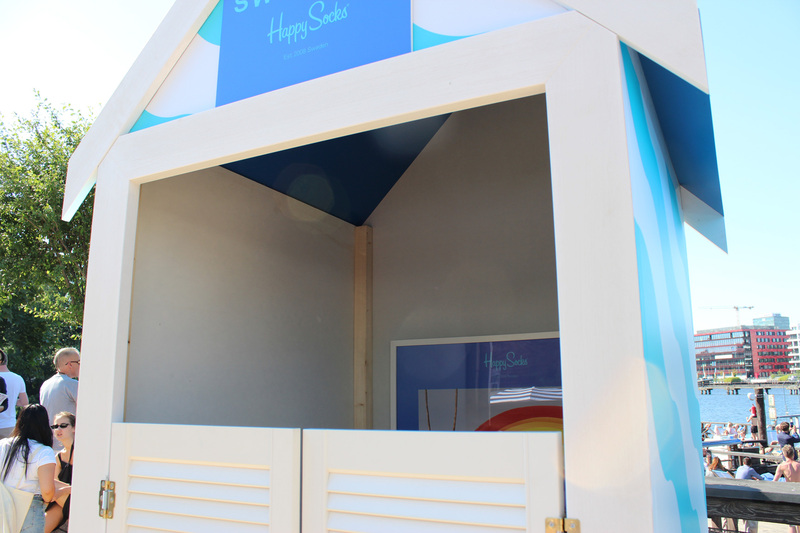 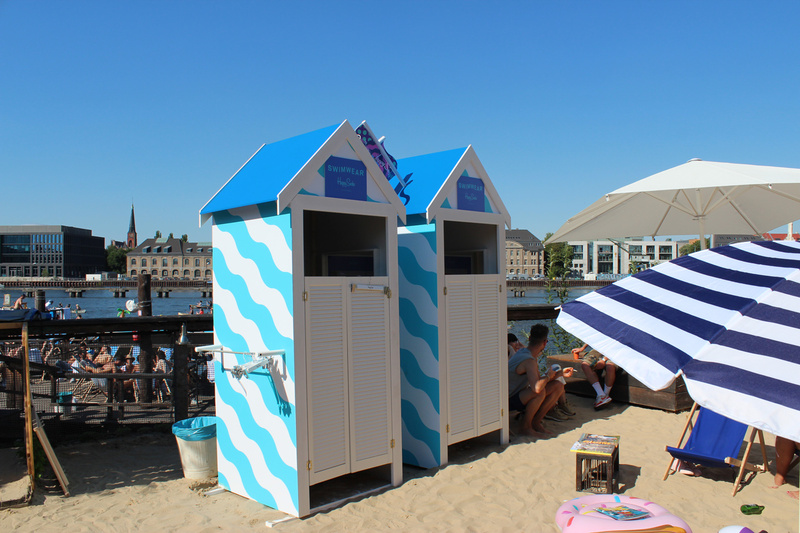 Under the motto „summer sun fun and cooling“ Happy Socks gave out more than 300 swimshorts and swimsuits as a gift to use it directly on site at the Badeshiff Berlin. 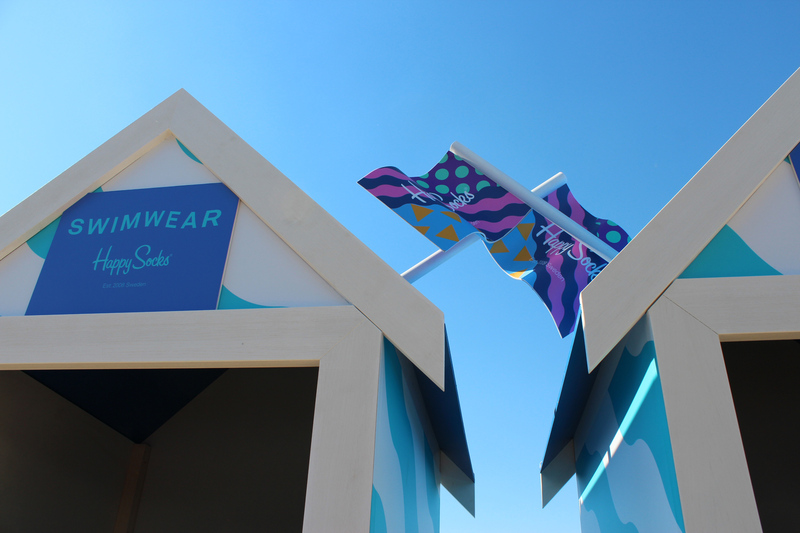 The installation was the eye-catcher of this years Seek Trade Show exhibition.